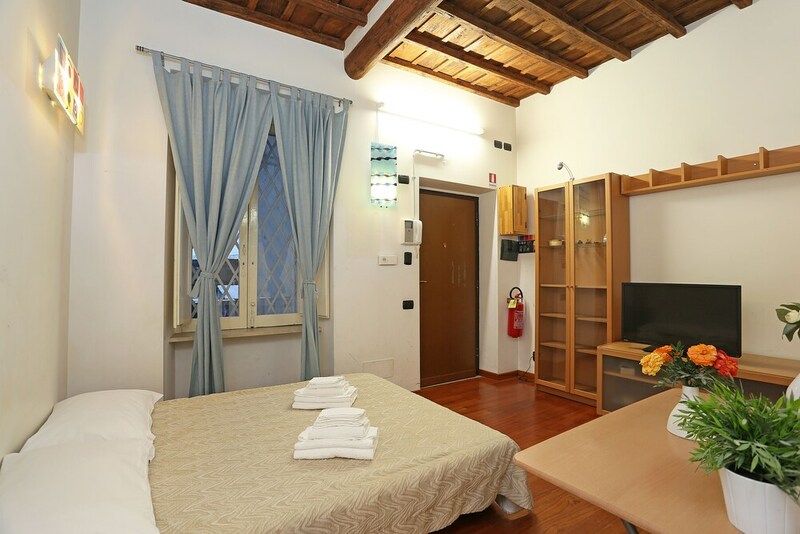 Located in Monti, Cozy & Flats is within a 10-minute walk of popular sights such as Via Nazionale and Basilica di Santa Maria Maggiore. This 2-room apartment building has in-room conveniences like kitchens, refrigerators, and microwaves. Each apartment is air-conditioned and features a kitchen with a refrigerator, a microwave, and a stovetop. Guests can enjoy a flat-screen TV and stay connected with free WiFi. Beds sport premium bedding and the bathroom offers a hair dryer and free toiletries. Other standard amenities include a washing machine, an electric kettle, and a ceiling fan. Housekeeping is available once per stay. At Cozy & Flats, guests have access to features like express check-in. A front desk is not available at this property. Guests must make arrangements for check-in by contacting the property at least 24 hours prior to arrival using the information on the booking confirmation. The following credit cards are accepted: Mastercard and Visa. This property only accepts cash for all bookings and onsite payments.